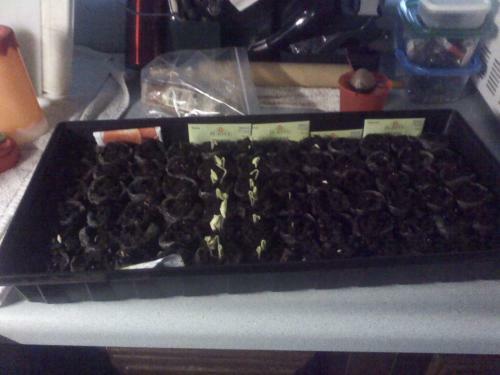 I got the greenhouse boxes down to water the veggie seeds and to my surprise they are already growing like crazy. I told my husband if the weather does not let us get the yard tilled we were going to have corn stalks growing up through our kitchen ceiling. 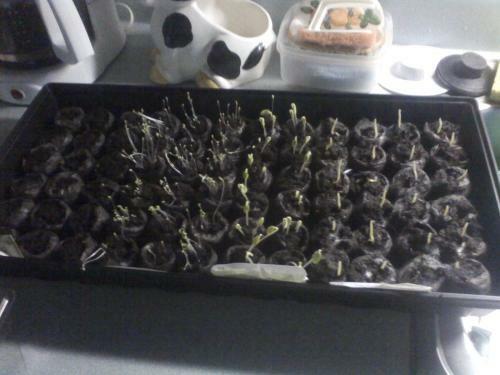 LOL I am happy they are growing just wish they could be growing outside. I am so ready to have my own garden in my backyard. This is where I want to till to put the garden. I started getting it ready by hand but that was hard on my back. I needed some of the grass to put down in some bare spots behind our shed. The landlord tore up the yard putting the shed in. 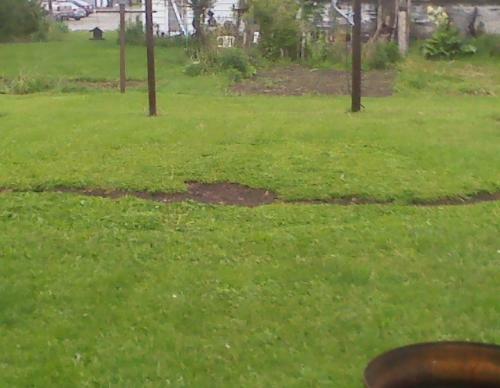 That looks like a great area for a garden, wish I could help ya out! I live on a Golf Course so a veggie garden like that would be out of the question but I get around it sometimes with pots/container gardens!